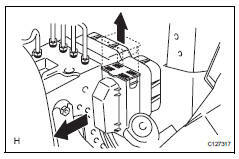 Remove the air cleaner case (see page em-21). 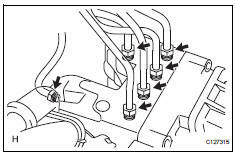 Refer to the procedures from the removal of the air cleaner cap sub-assembly up until the removal of the air cleaner case. 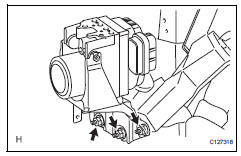 Remove the 2 nuts and actuator from the bracket. Remove the 2 bolt holders from the actuator. 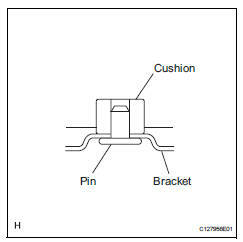 Remove the 3 cushions from the actuator. Install the 3 cushions to the actuator. 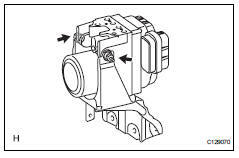 Install the 2 bolt holders to the actuator. 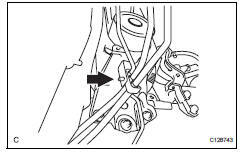 Do not remove the hole plug before connecting the brake tube. 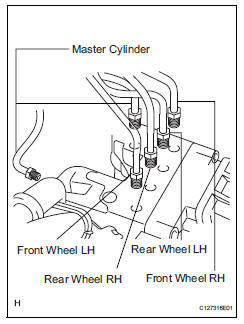 New actuators are filled with brake fluid. 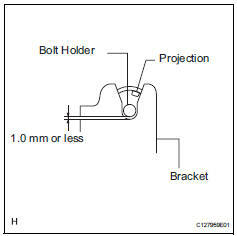 The clearance between the bolt holder and bracket is less than 1.0 Mm (0.039 In.). The projection should be set as shown in the illustration. Install the 2 nuts to assemble the actuator and bracket.